Wouterus Verschuur was born on June 11th, 1812 in Amsterdam and was a gifted painter of horses. During his life he lived and worked in diverse Dutch cities including Amsterdam, Doorn and The Hague. He was an apprentice of the famous animal painter Pieter Gerardus van Os (1776-1839), who was skilled in painting landscapes with cattle. 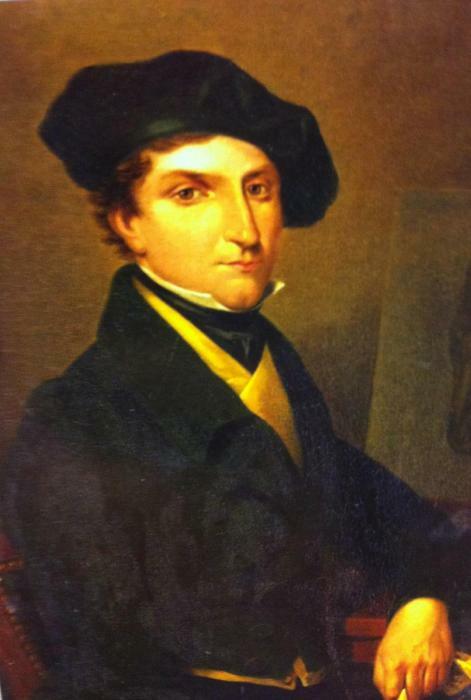 Verschuur was also a pupil of painter Cornelis Steffelaar (1797-1861). Verschuur, acclaimed for his accurate portrayal of horses, always gave the horse(s) a prominent spot in his works and often emphasized this dignified creature with a ray of light. He varied his pieces by depicting the animals in different poses and painting horses of diverse breeds. Already at a young age Verschuur experienced success as an artist. In 1831, at the age of 19, and again in 1832 he won the so-called Felix Meritis prize. In 1833 he became a member of the Amsterdam Royal Academy and in 1839 he became affiliated with Arti et Amicitiae, the well known artists society in Amsterdam. Besides his son Wouterus Verschuur junior, his students included the renowned Anton Mauve (1838-1888), who often filled his landscapes with sheep, cows and horses. Verschuur passed away in the Dutch town of Vorden at the age of 62, on July 4th, 1874. Today his works are still sought-after, not only by private collectors, but also by various museums. His works can be admired in the Rijksmuseum Amsterdam, the Amsterdam Historical Museum, Museum Boijmans van Beuningen in Rotterdam and the Stedelijk Museum Zutphen.